General Motors has been around since 1908, and while Olive Auto Center in Burbank has only been providing services since 2000, our auto mechanics have extensive experience and training to be able to provide you and your GM/GMC vehicle with the very best in auto repair maintenance and service. Trucks, SUVs, Crossovers, and Vans comprise the GM/GMC lineup and were developed to bridge the gap between luxury and mainstream brands. 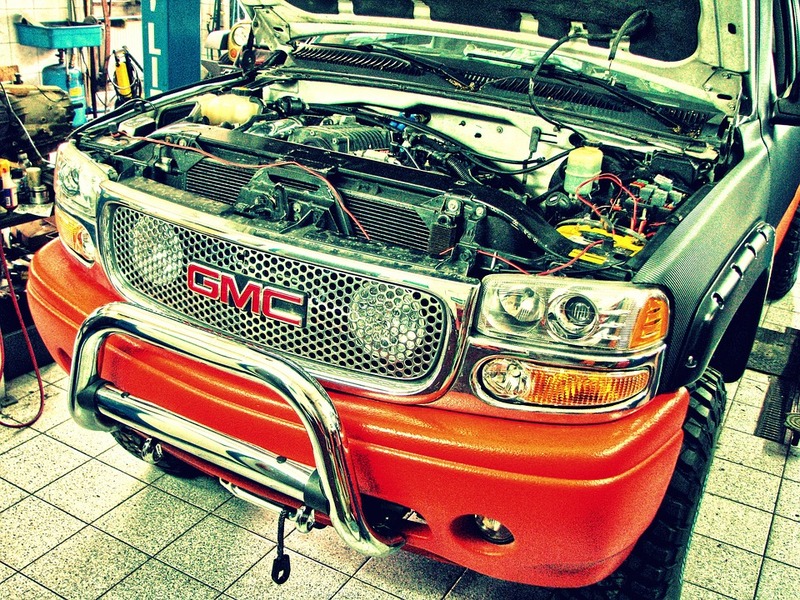 What the GM/GMC owners in the area need to know is that the ASE-Certified auto mechanics at Olive Auto Center in Burbank are well versed in the intricacies of whatever GM/GMC model you bring us. We offer powerful diagnostic services and when we combine that with our ability to listen to you, the GM/GMC owner, about all the details of what is currently going on with your auto, that allows us to quickly diagnose, asses, and repair your GM/GMC. We want to get you safely back on the road as quickly as possible, and even though our waiting room is comfortable, we know you’d rather be driving away in your own car. “I’m always happy with the service, my 2009 GMC Sierra has over 175,000 miles on it and olive auto center keeps it going. Replaced my front and back brakes. No loose ends.” -- Ken Y.
Olive Auto Center in Burbank is here for you. And to help make you feel at ease, we offer a nationwide 3-year/36,000-mile warranty. Stop by and say hello sometime, but it’s always a great idea to set up an appointment beforehand to ensure you and your GM/GMC receive the best and most timely service possible. We are open Mon - Fri: 7:30 AM - 5:30 PM, Sat: 8:00 AM - 2:00 PM and you can find us at 264 W. Olive Ave., Burbank, CA 91502. We look forward to seeing you soon!